This hockey club is making me proud. I hate the city of Boston with a burning passion…the only good thing about it are the sports. 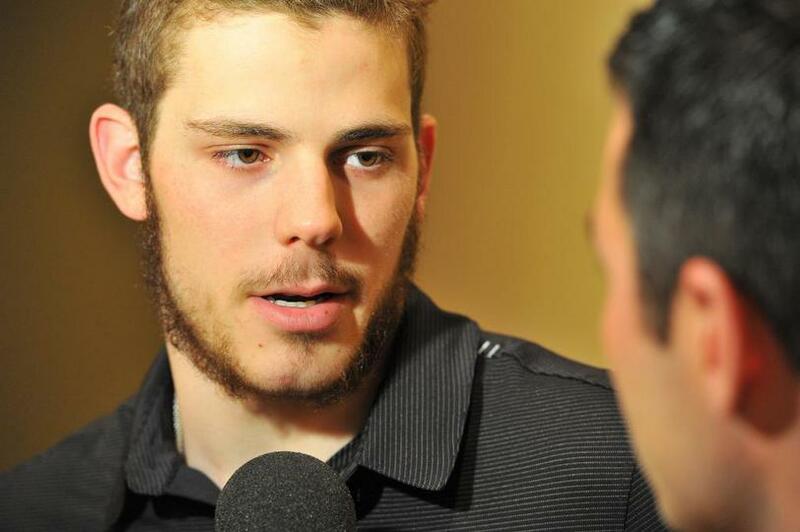 I would have never guessed the Bruins would go in these Finals and win Game 3&4. I guess you can say my faith in the team faltered a bit. But my faith has been restored and I’m actually starting to B-lieve they can win this thing. Last night was an insane game full of all kinds of emotions. I clapped wildly in my room. 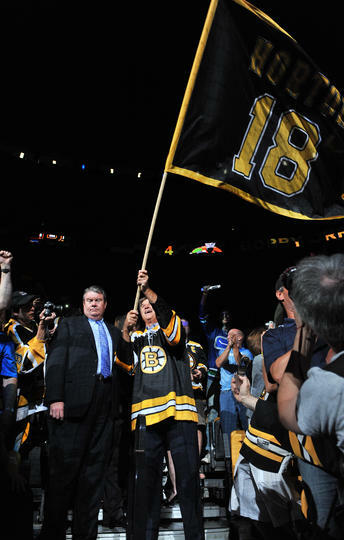 Last night you were able to see just how much #18 meant to Boston & the team. PS- turns out #18 showed up in the 3rd period to give away “the jacket” that was sitting in his stall. What a guy. Let’s do some recaps, shall we?! Timmy got a shut out last night! I think it's safe to say Lou's head is still spinning. 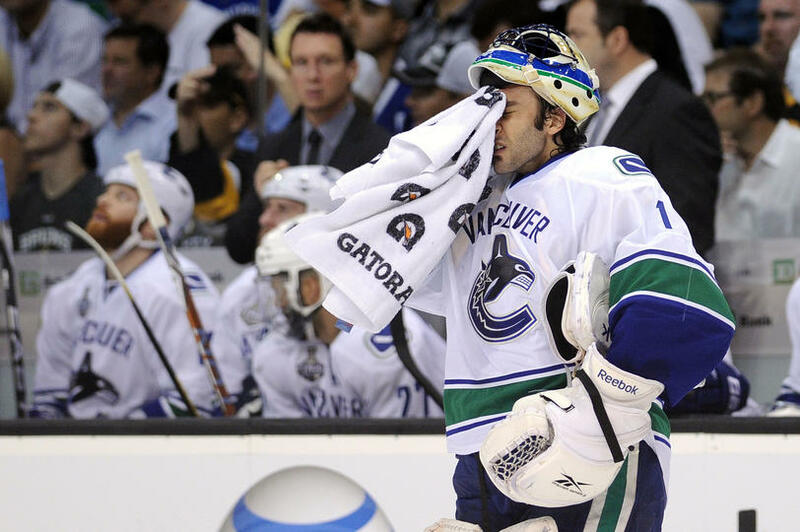 But Loungo isn’t the only Canuck feeling down. This series has turned nasty. The chirping, hitting, and overall mannerisms of these teams are unreal. I normally don’t like when a game turns into a “my horse is bigger than your horse” match, but under the circumstances I’ll take it. Marchand is just being a little pest that the Sedin Twins just don’t know how to handle. He’s playing dirty and getting under their skin–and there is zero retaliation. So the series goes back to Vancouver on Friday. I’m thinking now that the Bruins know how the Canucks work (down & dirty/cheap play), they have a chance of walking away with a win. 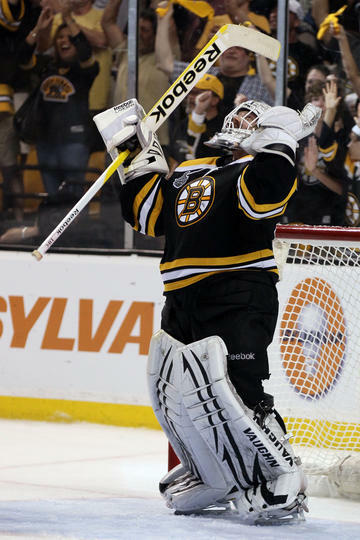 It’s now a battle of who wants it more…and after last night, something tells me it’s Boston. Does this picture scare anyone else?! 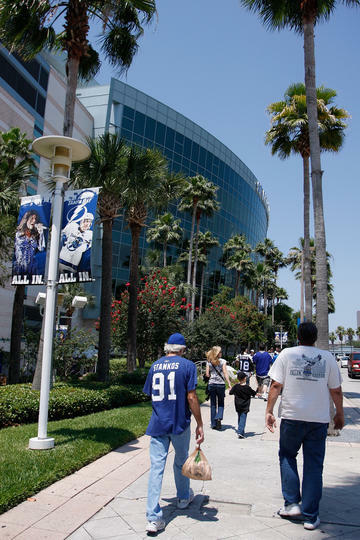 Categories : Stanley Cup FInals, We love Hockey, We Love the Playoffs, Yikes! 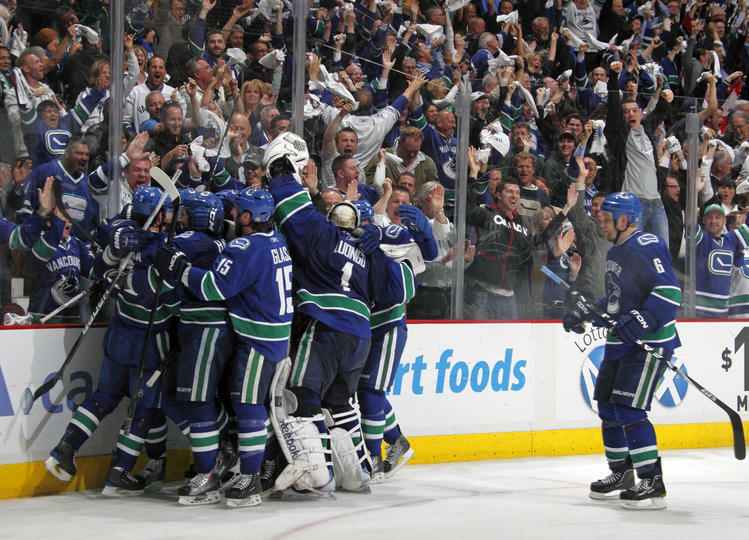 Canucks take the West…so who takes the East?! Congrats Vancouver! We called it in the beginning! At least we can say one of our predictions were right! S and I are so happy that we get to hear another round of your country’s national anthem in preparation for our trip in July. So if the Bruins lose I can’t say I’ll be too disappointed. 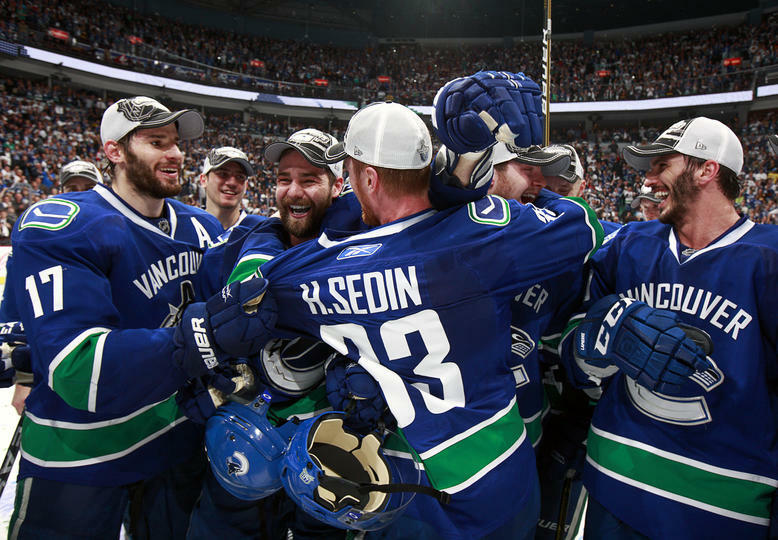 And I’m sure the same goes for S. We love Ry-Ry…and come on, the Sedin twins are awesome. focus B's focu--ooohhh pretty palm trees!!! I like to consider this D-day. 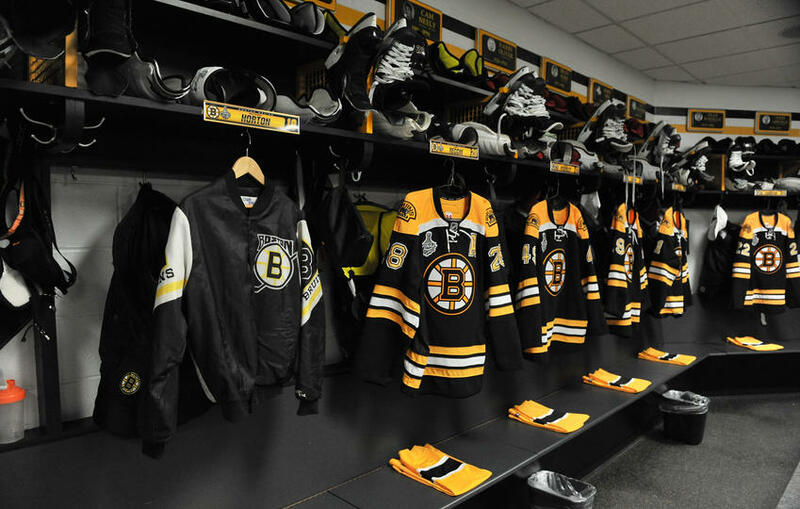 The B’s have a chance to shut this series down tonight, but we all know that the B’s play like crap unless their backs are up against the wall (which is not quite the situation just yet). I’m hoping the more and more I say Tampa will win tonight, the more I jinx them (sorry S) and my boys come out with a W to move onto the Cup Finals. I will be sitting at home in front of the TV at 8pm tonight chomping down on my lip and talking to myself while I watch my boys play. No more chirping…just praying. This is serious. 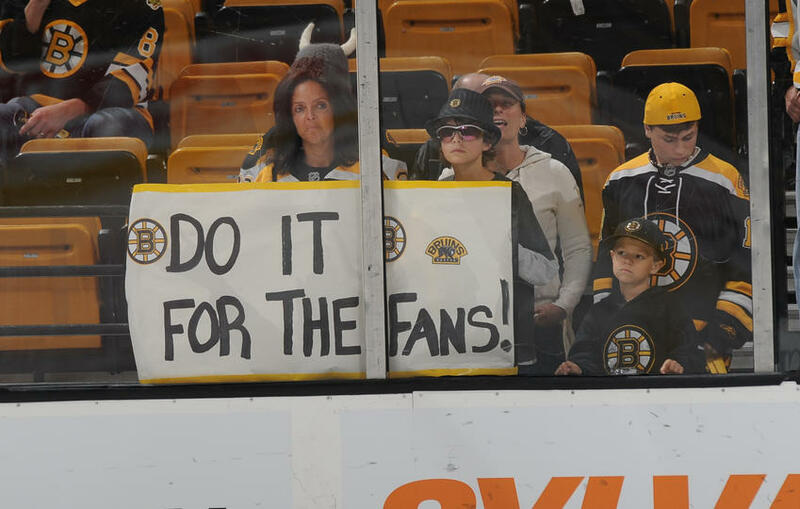 Us Bostonian’s believe in you B’s. Black & Gold baby, Black & Gold. Well, at least that’s what the Canucks are saying. gotta love clever hashtags, eh?! Apparently this matchup has turned into the Ryan Kesler v. Joe Thornton show. Of course, S and I aren’t complaining. Kesler’s our boy. As much as I love a good fight, I’m glad Kesler didn’t drop the gloves with Thornton in Game 1. Joe scares me, and I wouldn’t want anything to hurt that pretty little face of his. Is it odd that I feel bad for the Toast? Time to give the West some love. We know, we know. We’re being bad bloggers by only talking about the East, but what can we say?! We’re East Coast girls! So in the hopes that we can capture more West Coasters, we guess it’s time to show some love. 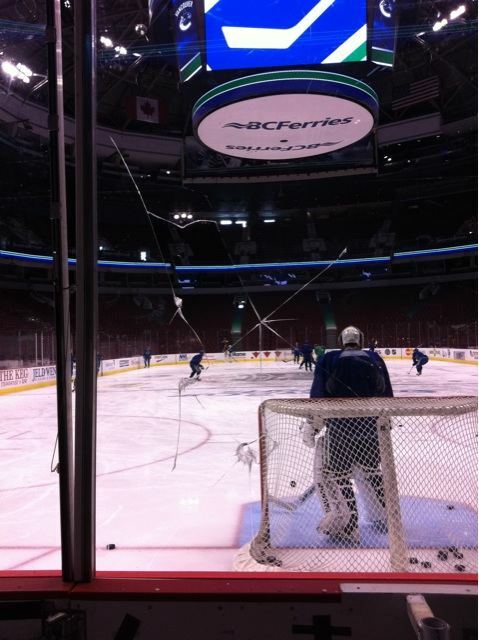 Tonight the #1 seed Vancouver Canucks take on the #2 seed San Jose Sharks in the Western Conference Finals. And believe it or not, Sarah and I actually agree on who we want to win! Not sure how it started, but we have this sick obsession with the country of Canada. So it’s no surprise that we want the ‘nucks to pull through. 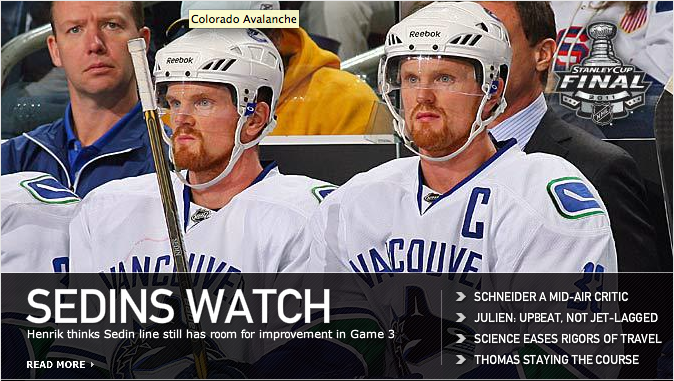 Plus, how can you not love the Sedin twins?! I know the first time Sarah showed this to me, I cried laughing and then continued to watch it over and over again. 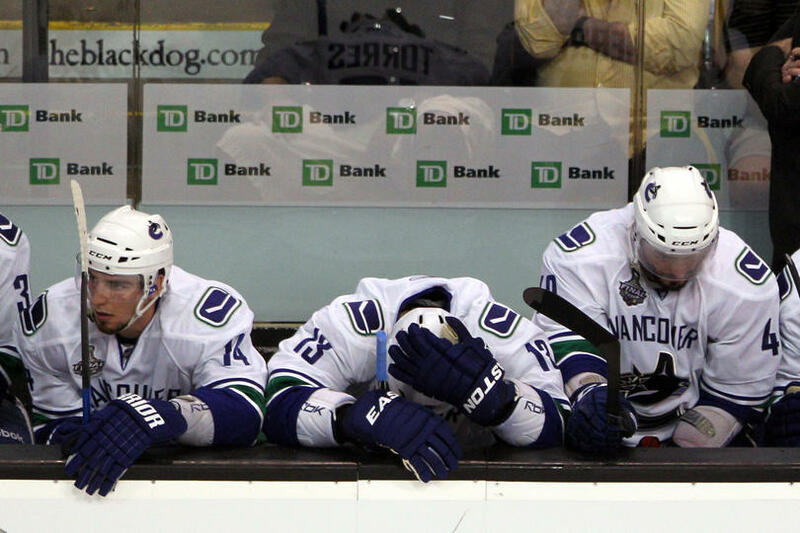 Let’s hope the ‘Nucks win tonight, because I’m not sure I could handle 2 days in a row of losses. Why we *want* to play. Like what you see?! Subscribe to us here and receive email notifications on new posts!